The best folk and acoustic music. 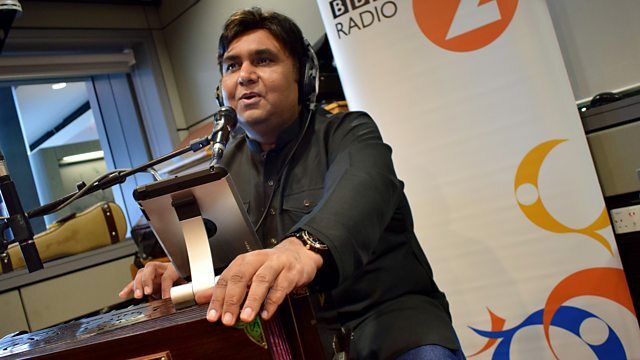 Acclaimed Welsh and Indian group Ghazalaw perform live. This week, the Welsh and Indian group Ghazalaw perform songs from their self-titled debut album. The band is the result of a collaboration between Welsh folk singer Gwyneth Glyn and Indian Ghazal singer Tauseef Akhtar. Their line up includes Patrick Rimes on violin, Manjeet Singh Rasiya on tabla, Suntou Susso on kora and Dylan Fowler on guitar. Singing songs based on the love poetry of their respective traditions, Ghazalaw have earned attention and acclaim including a nomination in the 2016 BBC Radio 2 Folk Awards. Good Times Will Come Again. Cod Liver Oil & Orange Juice - The Transatlantic Anthology.